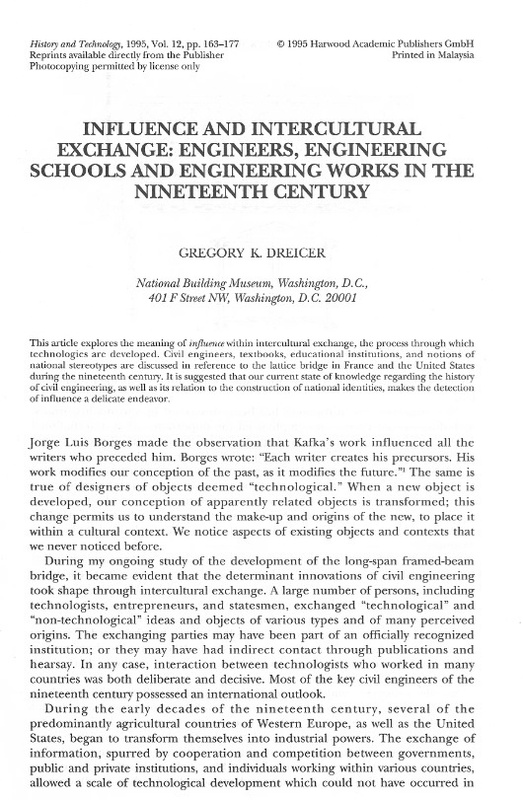 As a researcher, public historian, and engagement innovator, Dreicer has gained insight into inventive processes as well as the myths that surround invention and innovation. Dreicer focuses on building process, rather than the products of that process. His research is providing the story of the invention of modern construction and its role in the nineteenth- and twentieth-century rise of the modern nation and industrialized manufacture. 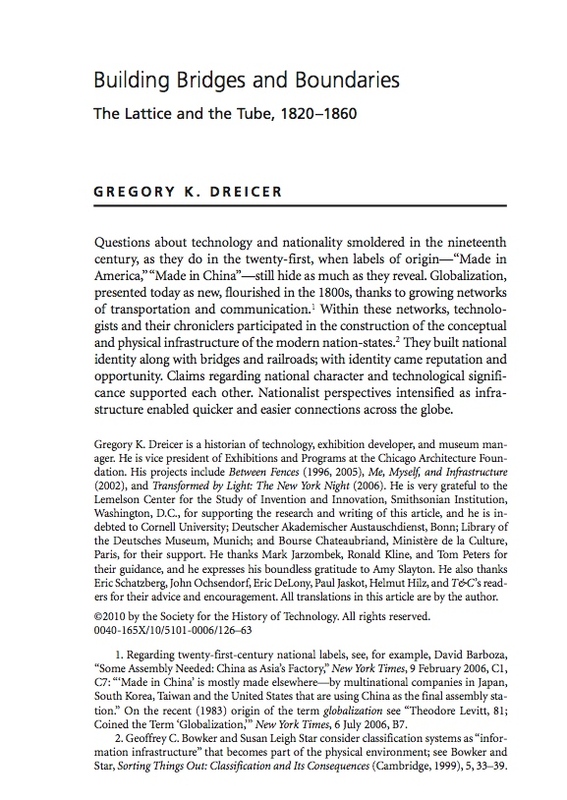 In his work, Dreicer emphasizes connections among people and nations, rather than highlighting national borders and nationalistic stereotypes. He challenges the predominant view: that progress, often embedded in evolutionary analogy, enables us to understand invention. Rather than treating materials such as lumber and steel beams as natural, fixed products, Dreicer considers them as complex changing historical characters. He believes that common bonds and transnational networks will help us better understand our world. 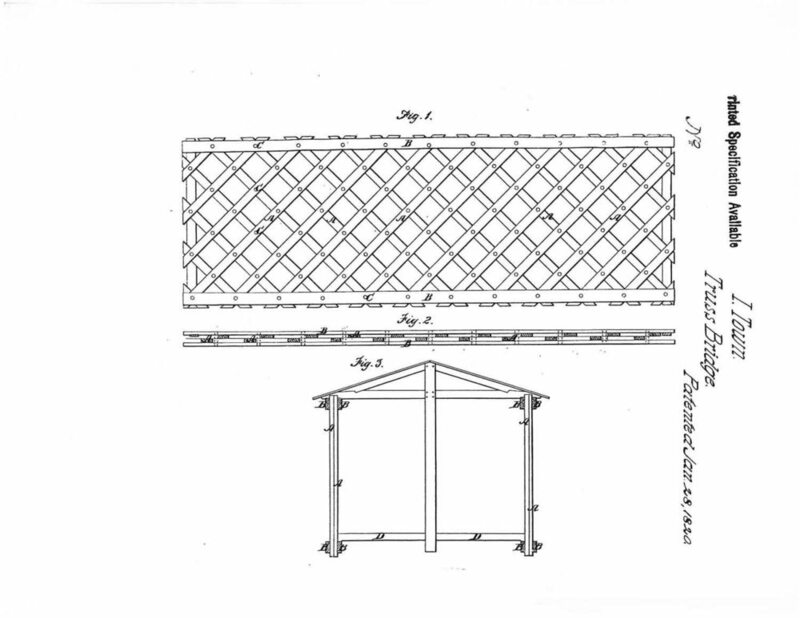 The lattice bridge startled innovators around the globe. A structure imagined for the industrial age, the lattice sparked an exchange of ideas that enabled the explosive growth of transportation networks. It inspired nineteenth-century builders to transform traditional construction processes and led to some of the most extraordinary spans ever built. The lattice, internationally recognized as American, incarnated modern design and symbolized the innovative might of the United States. 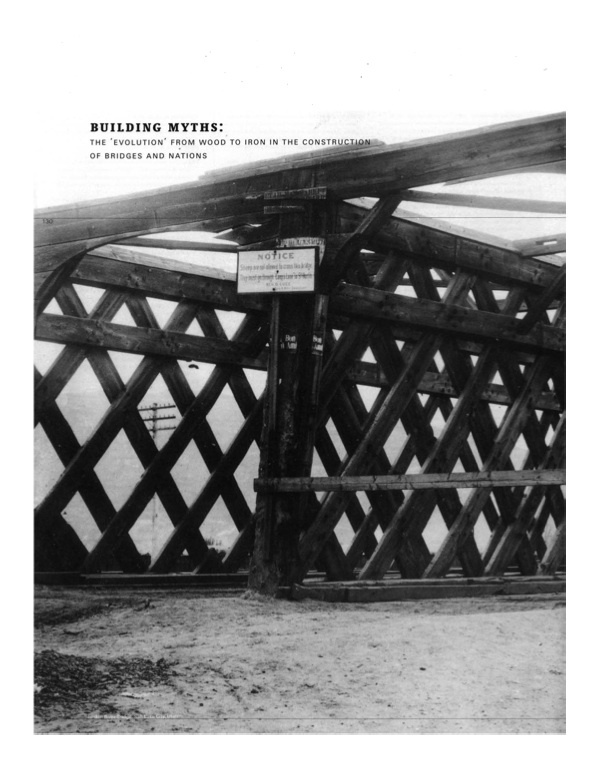 An upcoming publication will tell a landmark tale of technological creativity that reveals the origins of the elements that support today’s world: the truss, the I-beam, uniform parts, and wind-braced structures such as skyscraper frames. This illustrated book will provide for the first time a coherent narrative for a series of inventions that culminated in world-renowned icons such as the Eiffel Tower. This project will also reveal the stories behind the stories. Its transnational portrait of design in action demonstrates how the fundamental ideas that shape understandings of technology—nationalism, evolutionism, and progress—are entwined in the process of invention itself. Book to be published by MIT Press within the Lemelson Center Studies in Invention and Innovation series. Articles below (click on image to download).